Guys from GSMArena.com imported a Nokia 6 unit from China to review it. The Chinese version of Nokia 6 is similar to the global one, with few, for some, key differences that can be found in our Nokia 6 version comparison here. Back to GSMArena’s review. Before reading further, just a note that the tested unit is customized for the Chinese market, including the UI, but also in some hardware aspects. The test results for the global version could differ from the Chinese version’s results. Check GSMArena’s key findings down below. Outstanding build quality; premium-feeling, but also durable aluminum body. We’re not huge fans of the fingerprint reader placement, but it’s not a deal breaker. The user interface is a little lackluster – the blue circular icons are difficult to differentiate, the quick toggles haven’t seen much in the way of design, multi-window is just 50/50, there’s little you can do towards customizing the experience. It’s Android Nougat, though, so that’s good. The Snapdragon 430 is showing signs of age and outdated fab process – it does okay in day to day use, but doesn’t handle demanding tasks too well. Even in long benchmark sessions, however, the phone kept its cool – no overheating. The stereo speakers are a nice touch for a phone in this price bracket – they do make a difference in sound stage. Loudness is also above average – or as our ratings go, Good. The primary camera is good on detail but bad on colors and contrast – one of the most muted approaches to processing we’ve seen recently, and you’ll need to work on those images to liven them up. Particularly nice panoramas deserve a mention. In selfies, there’s little punch in the colors, and focus is a little closer than your average reviewer’s arm’s length. However, there’s decent detail to be found. Things GSMArena likes about the Nokia 6 is the design, build quality, and the screen, described as consistently good. We already wrote something about the Hybrid In-Cell display, that we call a touch of high class on the 6, together with the build quality that makes the phone like a tank. The maximum brightness is also surprisingly good. Surprisingly, because GSMArena measured more than it’s officially declared by HMD (450) nits, reaching 522 nits. HMD stated that polarizing filters are on the phone, and we assume that’s “Clear Black” technology, but Microsoft owns the “Clear Black” brand so HMD didn’t come up with another name or tried to advertise it more. The 6 passed GSMArena’s battery test with 75h of overall ratings, what is similar to the results of Nokia Lumia 1320 and Lumia 640XL that can endure almost 2 days of normal usage on a single charge. At least we achieved that result in our 1320 and 640XL reviews. It’s somehow odd that GSMArena criticizes the battery capacity, that is the same as on the Galaxy S8 (3000mAh), but they are overall content with the battery life. Another point GSMArena gave Nokia 6 a minus is the camera. Video quality is quite good, saying that “even some flagships could take note”, but the picture quality is not that great. We hope the global version will come with an updated camera algorithm for better photos. A phone of many contradictions, this Nokia 6 is. You’re paying low-midrange money for it, and yet you’re getting wonderful build quality well worthy of a $700 flagship (we may have to re-evaluate our notion of flagship price in light of recent Korean releases, but that’s a different story). The Nokia 6 is also very sturdy, as Zack from JerryRigEverything can confirm. But then there’s the chipset. The Snapdragon 430 is no sprinter, and while it handles UI navigation and basic tasks just fine, it does tend to hiccup when presented with more intense loads. Being built on a 28nm process, it’s also no marathon runner like its 625 stablemate. Battery life isn’t too bad, though – 28nm, 3,000mAh, 5.5-inch FullHD looked like trouble initially, but the tests proved our worries were unfounded. The 5.5-inch display is, in fact, anything but troubling – more like the second best bit about the Nokia 6. 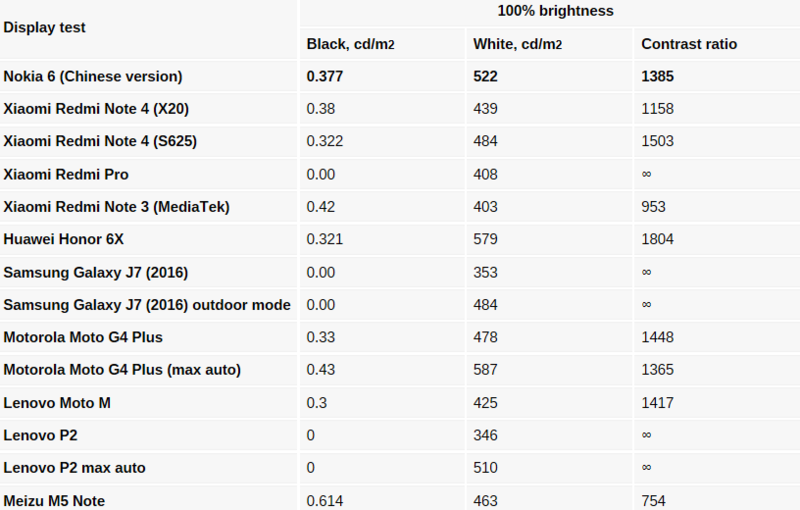 Maximum/minimum brightness, contrast, outdoor visibility, color reproduction – there’s really no area where we can fault it. Not so with the camera. Whether it’s stills or video, the output is overly flat – low on contrast and color saturation. Detail in good lighting is pretty good, but sharpness falls off in the corners, and low light photos and video are very noisy. Make some noise then – shout out to Nokia for fitting the 6 with a pair of stereo speakers. Or rather, reusing the earpiece as left channel speaker – it’s great to have spatial audio output on a phone in this price range, or any other. 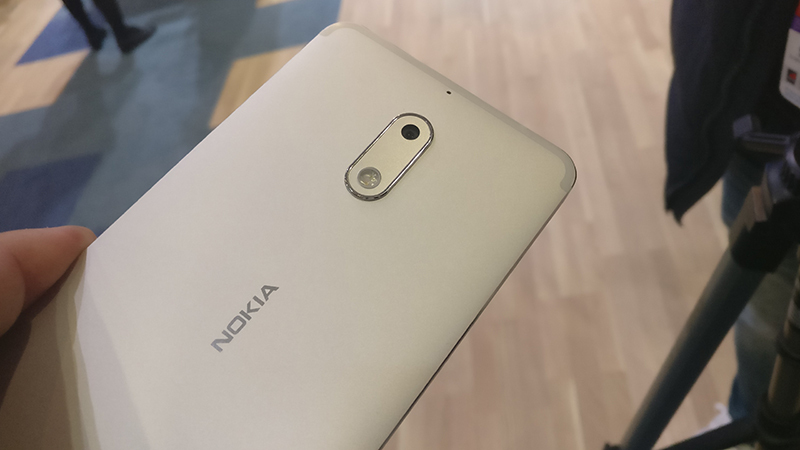 Overall, GSMArena recognizes the value for the money Nokia 6 provides, and praise the build quality and audio quality in the verdict, adding the fact that the phone doesn’t overheat. They call the phone full of contradictions, but we have to say the review isn’t that consistent either. For example the critique of the battery capacity, but being content with the battery life, or being disappointed with the processor, but saying it performs without any problems, especially for the price tag. Other conclusions are legit, and we can’t wait for a re-do when the global version goes on sale, allegedly next month. You can watch the video review down below. Read the full review over at GSMArena.com.